“The flight itself was smooth, which is exactly what you want a first flight to be,” said test pilot Evan Thomas. During the first phase of the flight, Stratolaunch tested the airplane’s handling qualities. “It flew very much like we had simulated and like we predicted,” he said. According to Stratolaunch, the plane’s systems “ran like a watch” and that the aircraft landed “on the mark” after a few low passes. Today’s flight comes just three months after Stratolaunch laid off “more than 50” employees and canceled efforts to develop its own rockets. Originally, the company had planned to build a whole suite of rockets, including a spaceplane. 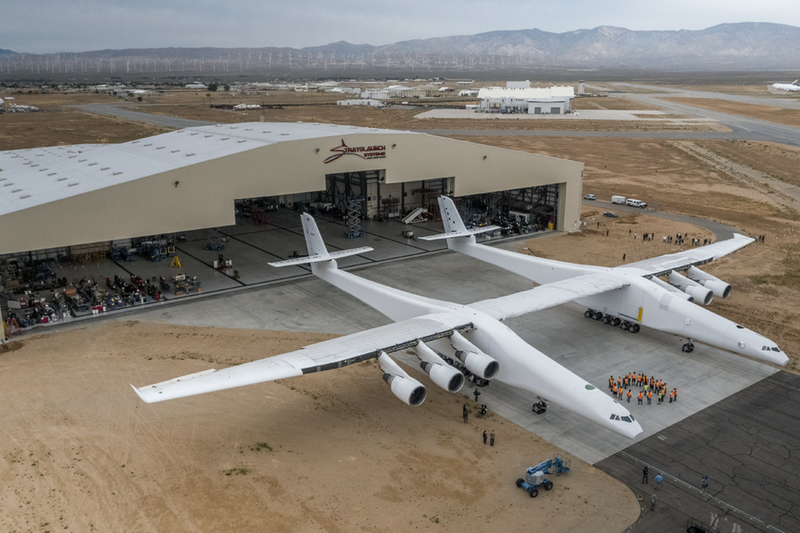 The change in plans was reportedly sparked by the death of Microsoft co-founder Paul Allen, who started Stratolaunch in 2011. Stratolaunch did not take questions during the press call and made no mention of what comes next for the aircraft. Update April 13th 2:20PM ET: The article has been updated to reflect that the Stratolaunch plane safely landed after its inaugural flight with executive comments from a press call.